All the eyes of the region are turned on Downtown Santa Ana for its Second annual Art and Literature Festival. The city has welcomed a diverse mix of some of the finest writers, poets, thinkers and artists to come out and perform. On February 26th, 2018, Brea parents, teachers, and local residents will pack the Brea Olinda Unified School Board meeting to demand that the board rename William E. Fanning Elementary School. Fanning was a teacher, principal, and superintendent of Brea schools from 1914 to 1942—as well as a documented Ku Klux Klan member. Orange County Sunday wrapped up the eviction of hundreds of homeless people from camps along the Santa Ana riverbed, finding motel and other shelter for more than 700 and clearing away tents and canopies that lined the riverbank near Angel Stadium for at least two years. 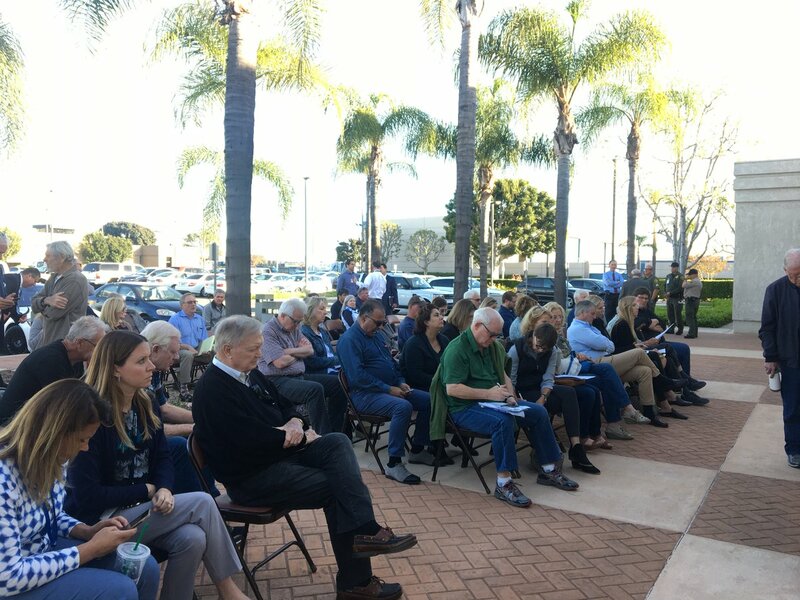 Reporters discuss homeless evictions along the Santa Ana riverbed, federal court actions and what comes next for homeless policy in Orange County.